Should everyone get a trophy? Here’s a hypothetical situation: What if we had 100 people who scheduled an interview with a company, 95 of them showed up. We interviewed them, but instead of looking at how well they did on their interviews, their experience, their resume, we hired all of them. We even hired the 5 people who didn’t show up. Then, we promoted all of the 100 people to CEO and gave them a $500,000 a year salary, whether or not they actually showed up one day for work. Would this ever happen? The obvious answer is no, there can’t be 100 CEOs and it is ridiculous to reward people for not doing anything special. Unfortunately, that’s the way many children are raised. In young sports, (say the Little League) everyone gets a trophy, regardless of whether they win, lose, show up, or play. While I understand it is important to give children positive feedback, is rewarding them for no effort the correct path to take? Now I know one of the arguments I will get is that these are just little kids, why should we show them real world? Here’s something that hits closer to home: At Evanston Township High School, near the end of the year, we start receiving awards. One of them that comes to mind is Honor Society. What I always find interesting about Honor Society (It’s grouped by year) is that at least 400 kids get the award. That’s just about 50% of the students. Now, I don’t have anything against these students, most of them are great people. The question that comes to mind though is should we be recognizing 50% of our students as outstanding? Perhaps Honor Society should only honor 20 students, or 50 students. Another thing I find interesting about Honor Society is that if you fulfill certain general requirements, you have a 100% chance of getting the award. Unfortunately, getting a job doesn’t work this way. The problem today is that as we keep getting told how great and special we are when the reality of the situation is that most of us aren’t that special. Most of us won’t be the CEO making $500,000 a year. A psychologist once told me 75% of parents think their children are gifted when only 2% actually are. This “Everybody gets a trophy” mentality is making my generation lose its competitiveness to one of entitlement. Recently I went in for a job interview, and I was surprised to see that most of the people there looked and acted as if they felt they were doing the company a favor by applying. Many of my colleagues also tell me how it’s impossible to get a job because no one has reached out to them. In today’s job market, if you aren’t competitive, there are 10,000 people waiting for their chance to bat, and only one person gets a trophy. They are kids. They don’t get paid to be kids. No one gets paid to play sports at age 6. Some of them stand around looking at the sky the whole game at that age. They don’t all get trophies in high school sports. Somewhere along the way, they adjust to these concepts. As for honors society, those standards are set nationally and Evanston is not your average town in the US. Isn’t it a wealthy suburb of Chicago? Surely it’s conceivable that such a place would turn out large numbers of kids exceeding national standards. We don’t have to introduce cut throat competition to 6 year olds in order to make them CEOs. Maybe aiming for CEO isn’t the best goal for all children anyway when only the very wealthy usually get into that job. I do think it’s important to motivate, encourage and prepare kids. I also want our country to have excellent future leaders. I see them in my town every day. I have not attended other high schools so I do not know the circumstances. I do still think that 50% of the school being Honor Society at our school is high for what I see in most of the students here. What i’m trying to say is that many students (and children) from my generation are feeling entitled, to college, to a job. I’m seeing this across the board, and it seems to be more of a parenting issue. Look, Noah, to an extent I think you have a point about everyone getting trophy–but I think there are a few things that you’re not seeing. For one thing, comparing getting a job to getting into the honors society is pretty much the definition of the whole “apples to oranges” idea. The honors society does not evoke competition because it is not intended to. Admission to the honors society is granted when one has met certain criteria. These criteria basically show that the student has done a good job throughout the school year. Each person who qualifies for the Honors Society deserves to be inducted into it. But it’s not as if it’s a huge prize. It’s nice to be able to say that you got into the Honors Society, but it’s unlikely that it will even minimally influence a college’s decision to accept you or an employer’s decision to hire you. It’s a benchmark, not a reward; so I really don’t think it’s the same situation as the one with the trophies. But a much bigger problem that I see in what you’ve written, Noah, is that you said that not everyone is special. That’s not true. Everyone is special–just not in the same way. I don’t know where that psychologist got that statistic, and maybe it’s true–but it means nothing unless you define what it’s standards for “gifted” are. Every child has gifts, just not the same ones. For example, you’re better at math than I am, but I’m better in English than you are. We’re both smart, just in different ways. Forgive me if I’m wrong (I don’t know much about sports), but I was under the impression that at least in some cases, when every kid gets a trophy, they’re not being awarded for the same things. 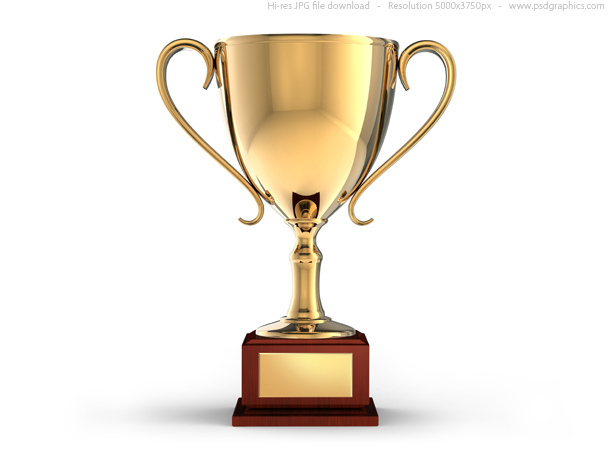 One child might be awarded for scoring the most goals, one might be awarded for their dedication in never having missed a practice, one might be awarded for consistently putting in 100% effort, one might be awarded for keeping up the team morale when they’re not winning, and so on and so forth. This shows children that even if they might lack a specific skill or might not be considered the best athlete on the team, they shouldn’t just give up, because they have their own strengths. Plus, sports are inherently competitive. I’m pretty sure that there are no sports, even for kids, where both teams get to win. It’s not like adults are trying to trick them into thinking that they’ll never have to work for anything; they’re just trying to teach them to appreciate their own accomplishments and gradually transition them into more competitive settings, instead of just throwing them in the deep end. Far, far more competitive standards are introduced in high school, and, to a lesser extent, in middle school. Kids start middle school at eleven, and I personally don’t see evidence to support the idea that those standards need to be introduced to children at a younger age than that. And Noah, I recently heard you deliver a presentation about how the school system should have a less stressful learning environment to increase the amount that kids can benefit from their education. High school especially is already very competitive in many aspects. Increasing competition (especially when there’s already plenty there) inevitably increases stress. You seem to be suggesting that kids should be made more competitive from a younger age–doesn’t this contradict your educational philosophy? While we don’t have to add stress to the lives of children, we should make sure they understand that just fulfilling the requirements doesn’t cut it. That seriously all you have to say to that whole thing? Oh come on, Noah. I don’t think people define getting into the honors society as “cutting it.” For the most part, students care more about their GPA than about getting into the honors society, and getting a high GPA is something that they have to work hard and push themselves to achieve and maintain. Kids are placed in a lot of situations where they are competing and know that they have to do the best they possibly can if they want a shot at reaching a goal. They try to get on sports teams, get roles in plays, secure jobs. I’m all for the idea that we stress how important it is for kids to go above and beyond what’s expected of them, but I think that for the most part, people get it. And I really don’t think that not giving them a trophy as a kid will change that at all. But giving them the trophy might give them the reassurance that they shouldn’t give up just because they’re not the very best at something. 400 students is not 50% of ETHS bro, and there are two different Honor Societies: Freshman and Sophomore. In both of these categories you need to get an Honor Roll for the year ( Or semester I am not sure) and you need to get a certain number of community service hours AND you need teacher signatures. While you ask a valid question, you’re alluding to many details that are critical in answering this fundamental question.